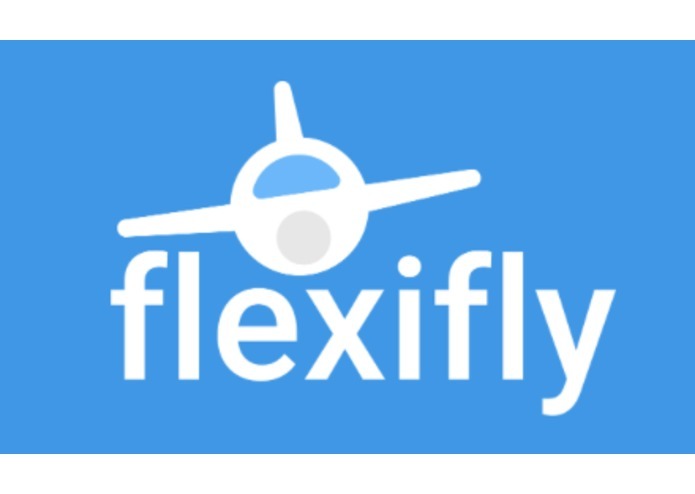 Flexifly is a service which allows people to swap flight schedules with one another easily and get money. Waiting at airports is boring and time consuming. 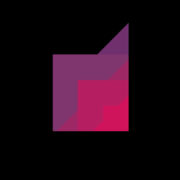 We want to make the user experience better and we had to come up with a solution. It allows people to trade tickets between each other. Connecting flights might include a long wait in between flights. 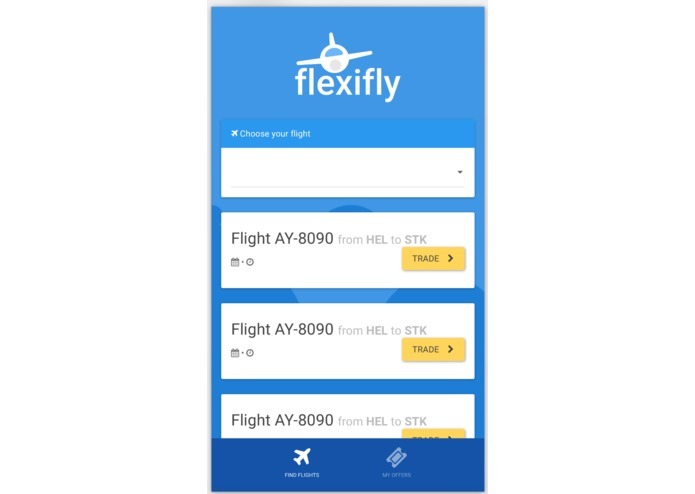 Our service would make it possible for users to find out if there is anyone willing to take their flight, so that for example a busy businessman may save his time. 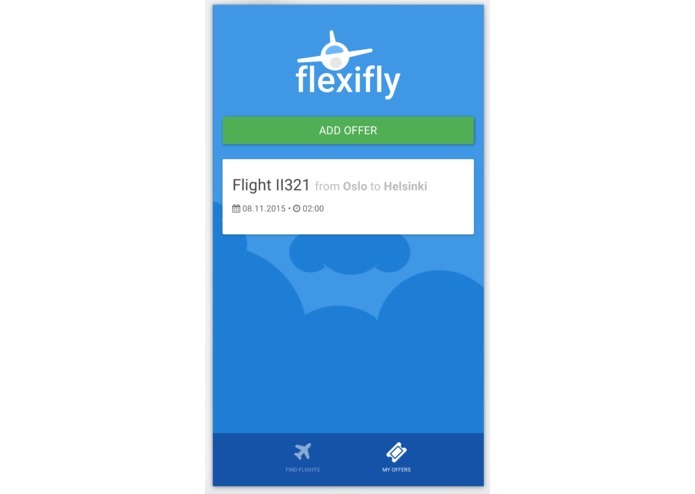 Users can bid on offered plane tickets and the offerer will profit. Also, the air travel alliance involved would take a cut of every transaction. 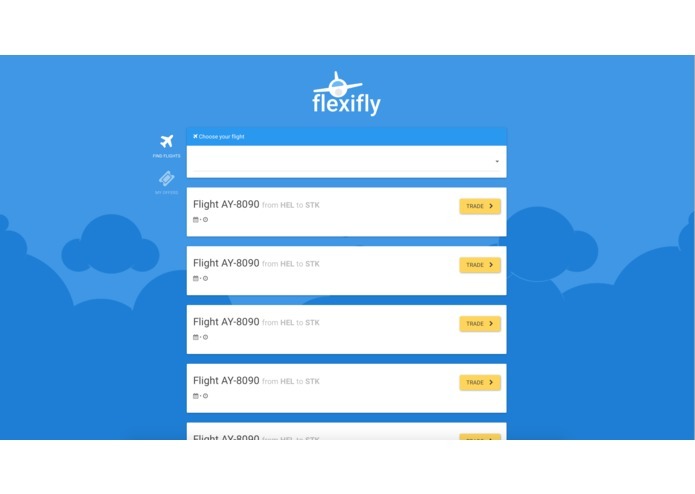 Flexifly is built with an Angular.js front-end and a Flask back-end. The result is a one page application which scales nicely for all screen sizes. We aimed for an easy-to-use and intuitive user interface. Time. Planning. We didn't have an idea what to do on Junction beforehand. On Friday we started toying with different ideas and came up with this. Then we started to think through the business possibilities and what would make this a viable service. We spent a LOT of time planning how to actually code the service. We have thought a lot about the business side of things and overall practicality, and we thought the actual coding would be simple. However, we couldn't start developing before 1 AM on Sunday. Because we didn't plan our hack before Junction, we also had no idea how lon any part of this process would take. In our minds the idea has a lot of potential, and discussions with Finavia and Finnair personnel also reinforced this belief. User interface and brand is beautiful. We would have loved to make the app more functional, but right now it is more of a demo for what the application might look like and what functions it might have. We can demo it and tell about it, but we had no time to make it really work, and this is really sad for us. People were excited about our idea and many said they would absolutely have user for this kind of service! That really pushed us forward. Overthinking and over designing is bad. Or at least when it involves 5 different people. A hack should also be planned in advance, because otherwise the end result might be really crippled and just a beautiful concept. We'll see how the judges like our ideas and concept application. 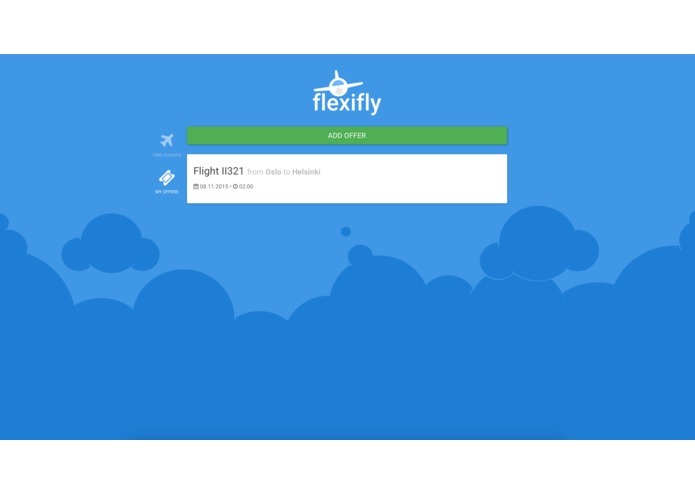 In our minds this idea could have potential in disrupting the way the air travel industry works! We might develop the application further.